Singh was addressing the gathering on the dedication ceremony of four core steel manufacturing marvels at India’s Most Modern 6 MTPA Integrated Steel Plant of JSPL at Angul. Union Petroleum & Natural Gas Minister Dharmendra Pradhan was also present on the occasion. The manufacturing units were dedicated to the nation in the august presence of Savitri Jindal, Chairperson Emeritus, OP Jindal Group and Naveen Jindal, Chairman, JSPL. manufacturing units are India’s Largest 4554 m3 Blast Furnace (BF), India’s Most Modern 3 MTPA Basic Oxygen Furnace (BOF), Worlds First & Largest Syngas based 2 MTPA DRI Plant and World’s Largest Coal Gasification Plant (CGP) for Steelmaking based on Swadeshi Coal. Singh further said about 80 per cent of coking coal worth Rs 20,000 crore is imported by India. 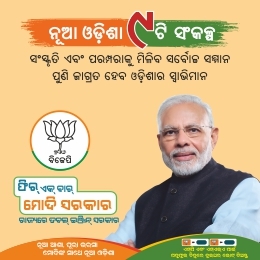 “We remain dependent on imports (for coking coal) but Naveen (Jindal) has come out with a plan which can make us reduce this dependence,” he said. The minister added that the new technology of making steel by coal gasification helps in producing the metal using domestic coal. 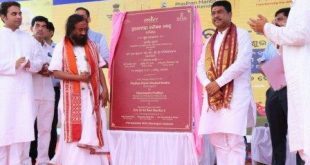 Pradhan said the presence of companies like Jindal and Tata in undivided Dhenkanal district is a boon and would further strengthen the economy of the district. “Industries may not provide direct employment to the people, but companies like Tata, Jindal, MCL, NALCO, NTPC would create an ecosystem to eradicate poverty from the region,” he added. 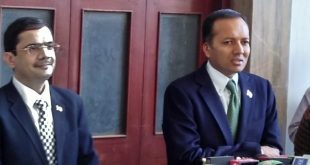 On the occasion, JSPL Chairman Naveen Jindal said, “This is for the first time that any company in India is using coal gasification method to make steel. 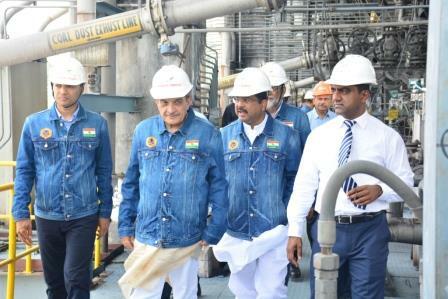 We are hopeful that after one year we will be able to run the Angul plant in full capacity”. Other key facilities at the Integrated Steel Plant spreading over 3500 acres include: India’s Largest 1.5 MTPA Rebar Mill, World’s Most Modern 1.2 MTPA Plate Mill, World’s fastest 2.3 MTPA Billet Caster, India’s Most Advanced 1.7 MTPA Slab Caster, India’s Largest 2.75 MTPA New Electric Oxygen Furnace (NEOF) and 810 MW Captive Power Plant. The Greenfield complex was initially conceived as India’s first and only steel plant to operate on a purely swadeshi raw material. Over time, the Angul steel plant has transformed into India’s most resilient steel-manufacturing destination, deploying a judicious mix of Oxygen and Electric steelmaking routes. The 6 MTPA Integrated Steel Plant at Angul is the largest steel manufacturing plant in the state of Odisha which has created 50,000 employment opportunities and anchors a socio-economic ecosystem of one lakh families. 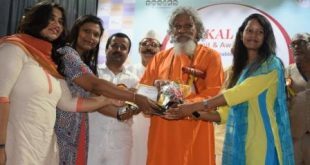 JSPL Foundation’s social development initiatives have holistically improved their quality of life said the local community leaders who participated in the dedication ceremony.